Facebook boss Mark Zuckerberg has admitted it is "inevitable" there will be regulation of the social media industry as he revealed his own data was included in the personal information sold to malicious third parties. "The internet is growing in importance around the world in people's lives and I think that it is inevitable that there will need to be some regulation," Mr Zuckerberg said during testimony before the House Energy and Commerce Committee in Washington yesterday. "So my position is not that there should be no regulation but I also think that you have to be careful about regulation you put in place." 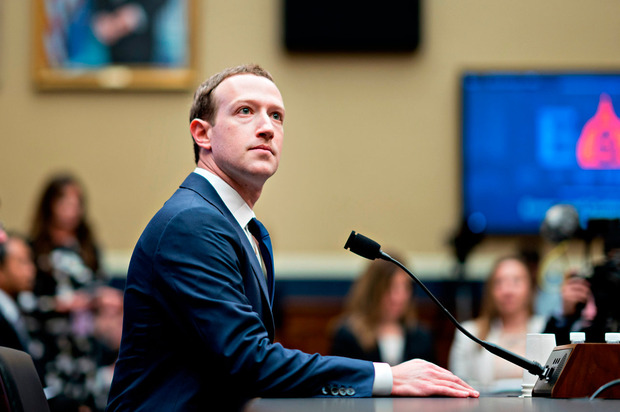 Larger, more dominant companies like Facebook had the resources to comply with government regulation, he said, but "that might be more difficult for a smaller start-up to comply with". Both Republicans and Democrats have floated possible regulation of Facebook and other tech companies amid privacy scandals and Russian intervention on the platform. Mr Zuckerberg was answering a question from Democrat Anna Eshoo when he told the committee that his personal data was also given to Cambridge Analytica in the scandal that has rocked his company over the past several weeks. His remarks came as he opened the second day of a congressional inquisition in the wake of the worst privacy debacle in his company's history. A day earlier, Mr Zuckerberg batted away often-aggressive questioning from senators who accused him of failing to protect the personal information of millions of Americans from Russians intent on upsetting the US election. The stakes are high for both Mr Zuckerberg and his company. Facebook has been reeling from its worst-ever privacy failure following revelations last month that the political data-mining firm Cambridge Analytica, which was affiliated with Trump's 2016 campaign, improperly scooped up data on about 87 million users. Legislators said repeatedly they think Facebook should probably be regulated. But there was no consensus at all on that point - what exactly should be regulated, or even what the biggest problems are. Members pressed Mr Zuckerberg on the company's privacy policies and often declared that Facebook needs to do more to protect user data. Several politicians touted bills they had introduced. But there was no clear thread among them as to how, or if, the government should step in. Frank Pallone, the committee's top-ranking Democrat, sounded pessimistic that Congress will pass anything. "I've just seen it over and over again - that we have the hearings and nothing happens," Mr Pallone said. Greg Walden, the committee chairman and a Republican, asked Mr Zuckerberg whether it ever crossed his mind several years ago when user data was being extracted from Facebook "that you should be communicating more clearly with users that Facebook is monetising their data". Information about users "is probably the most valuable thing about Facebook", Mr Walden added. Mr Zuckerberg said Facebook allowed people to decide whether and how they wanted their information shared. But he said his company "can do a better job of explaining how advertising works". After a testy exchange with Mr Zuckerberg, Democrat Diana DeGette said Congress should consider imposing "really robust penalties" for social media companies that repeatedly compromise user information. "We continue to have these abuses and these data breaches," Ms DeGette said. "But at the same time it doesn't seem like future activities are prevented." Facebook's stock rose slightly in yesterday's early afternoon trading, providing an indication that investors are betting the company's ability to sell ads based on the personal information that it collects won't be hampered by whatever action Congress might take. But Facebook's stock remains 10pc below where it stood before news of the privacy scandal broke last month, a decline that has wiped out about $50bn in shareholder wealth. During roughly five hours of questioning by members of the Senate Judiciary and Commerce committees on Tuesday, Mr Zuckerberg apologised several times for Facebook failures. He also disclosed that his company was "working with" special counsel Robert Mueller in the federal probe of Russian election interference and said it was working hard to change its own operations.